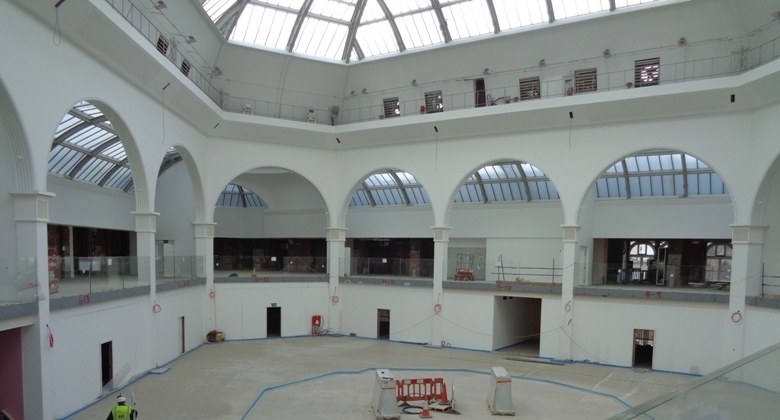 Earlier this year saw the completion of the redevelopment of the Corn Exchange in Manchester. Getting to this stage in the life of this heritage building has been 13 years in the making and made possible through a partnership of industry professionals and experts. The partnership was between Aviva Investors, Queensberry Real Estate, Spring & Company, 5Plus Architects, Cundall and Buro Happold. The site has a rich history dating back to 1837 when the first Corn Exchange, designed by Richard Lane (a distinguished architect of his time) was built. 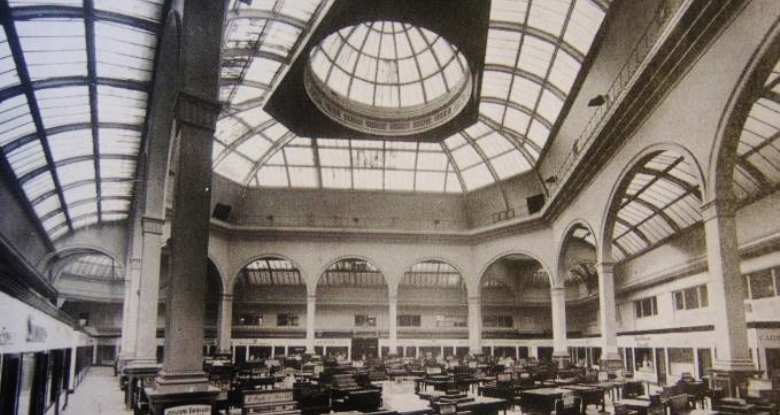 It was demolished in 1897 and replaced with the building that stands today, with the glass-domed roof originally built to provide a source of natural light for the trading floor. 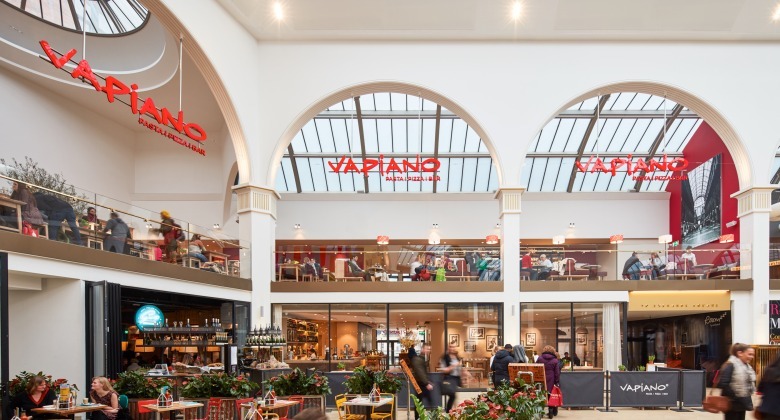 The use of the building has changed over time from a bustling centre for traders to haggle over the price of grains, to a centre for alternative communities and stalls selling everything from clothes to body jewellery. The building suffered heavy damage from the IRA bomb in 1996. It was was purchased by Aviva Investors In 2005 with a view to redeveloping it. 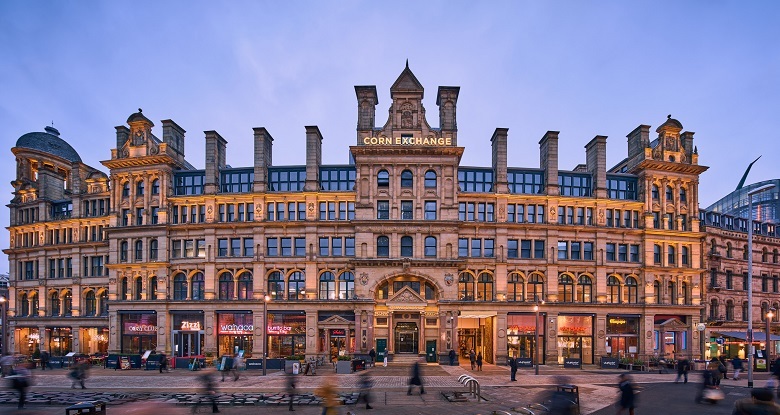 As the Corn Exchange is a Grade II listed building, obtaining Planning and Listed Building Consent for the new scheme was a rigorous and challenging process. When a building obtains listed status it is to celebrate its special architectural and historic interest and to protect its future. To secure the buildings’ future role in the commercial heart of city, a diligent and engaged design stage was conducted in collaboration with conservation officers, planning authorities and heritage consultants. After much careful thought and consideration by the project team work commenced in 2014 to transform the building into what it is today. - A full remodel of the internal structure to adapt the previous retail units into 17 restaurants. - Major modifications to the mechanical and electrical systems throughout the property to allow for the highest end commercial kitchen equipment. - The restoration of the atrium area to create a unique internal dining experience under the high level glass dome. - Public realm works to areas outside the building especially those of busy footfall. - Restoration of the building fabric and the roof due to decay and vandalism. Phase Two was the adaptation of the upper floors of the building to create an Aparthotel for Roomzzz. This included an innovative re-design of the ventilation systems, including rerouting of ductwork and increased acoustic treatment. This was due to cross contamination of odours from restaurants below and was an issue on the upper floors due to the structural nature of the building.The Re-modelling and fit-out of the upper floors created 114 high class apartments, a gym, staff and public areas. Critical througout the works was the maintenance of a live operating environment for the newly opened restaurants and management facilities and maintaining access to both the restaurant units and the construction site within a landlocked city centre location. The end result is an operational hotel and leisure destination complementing the listed features of the building which includes carefully restored elements such as Victorian wall tiles, terrazzo flooring, decorative wrought iron railings and mahogany balustrades. 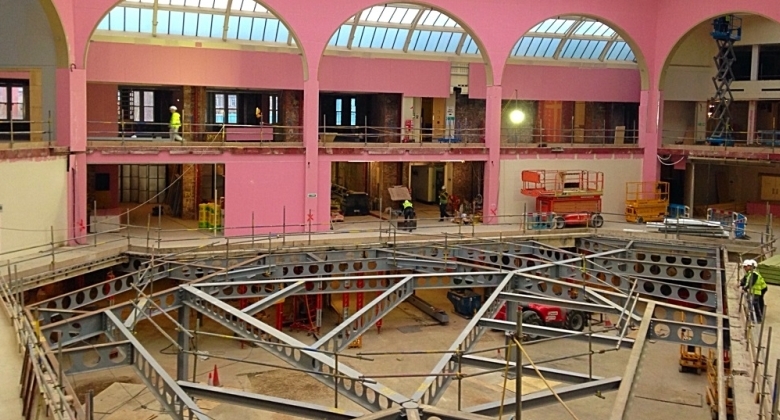 Spring & Company’s ability to deliver innovative, thoughtful and cost-effective construction consultancy is clearly demonstrated in what has been achieved at the Corn Exchange. Our expertise and attention to detail is why we have such a high level of repeat business with a number of prestigious clients. We are recognised for our ability to take construction projects from feasibility, through design and on site to completion. We are involved in both new build and refurbishment projects across all sectors, including offices, retail, industrial, healthcare, leisure, residential and education.